HBSE 12th Date Sheet 2019 – Haryana Board of Secondary Education will conduct re-exam of Chemistry on April 4, 2019 and of English (core/elective), Hindi (core), Maths, GEO, PAD, FAP, ACC, POS, ECO, PHY and BIO on April 5, 2019 in certain centres due to malpractices and use of unfair means. The Board released the HBSE 12th date sheet on January 10, 2019. 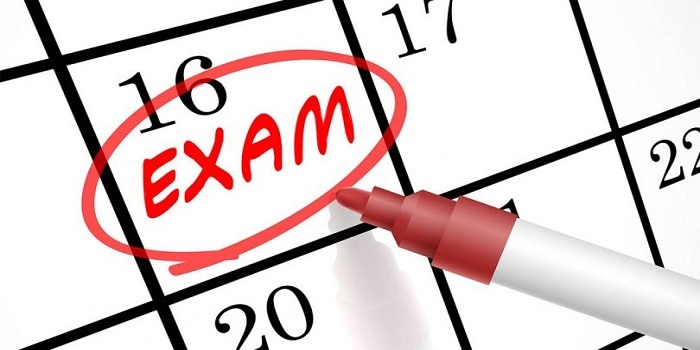 Haryana 12th exams will begin on March 7 and go on till April 3, 2019. Timings of the exam will be 12:30 pm – 3:30 pm. Date Sheet of HBSE 12th has been released online and is updated below. HBSE 12th Exam Date Sheet 2019 is the exam schedule for class 12 board examinations. It mentions all the subjects taught in Haryana board class 12 along with the dates on which the respective exams will be conducted. Registrations for students studying class 12th in open school have started online and students can go on the official website to register. The registration process will take place between October 31 and November 25, 2018, and students will be required to pay Rs. 800 for registrations. Students must note that they should finish off with their syllabus of class 12 before the release of HBSE date sheet 10th class. After the release of date sheet, they must begin with the revision. Students should also download and practice Haryana Board 12th sample papers and previous years’ question papers for better revision. They’ll help get familiar with the exam pattern and marking scheme of the original exam. Students preparing to appear for HBSE class 12 exams must solve and practice as many HBSE sample papers as possible. These will make them familiar with the exam pattern and marking scheme of the exam. After the release of Haryana Board Exam Class 12th Time Table, students must focus on solving the papers within the stipulated time. Your HBSE 12th brochure has been successfully mailed to your registered email id .